WELCOME HOME! 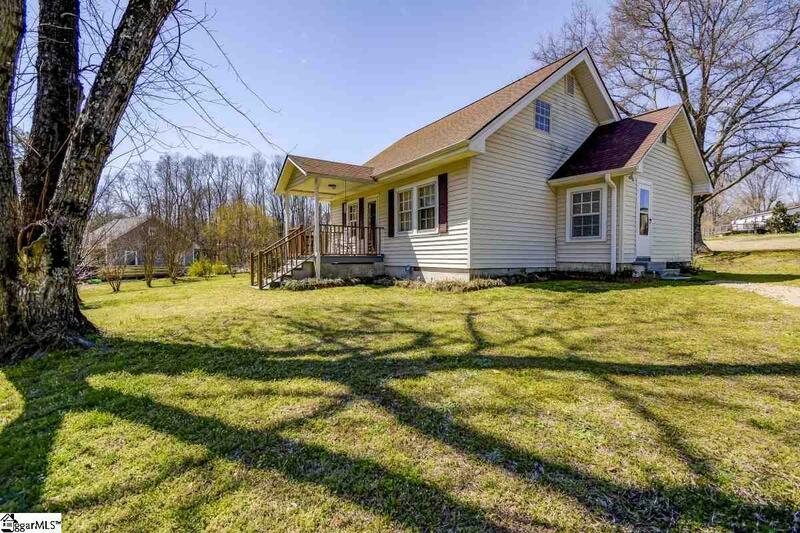 ADORABLE COZY HOME ON OVER ACRE QUIET COUNTRY LIVING Entering the home, you will notice the covered front porch with plenty of room for chairs to set out and enjoy the property. 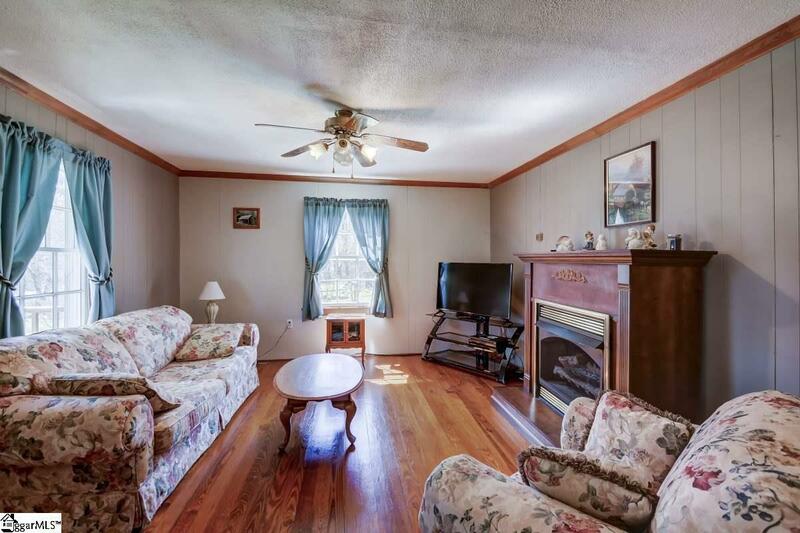 Stepping into the home is the large, bright living room with a wonderful gas log fireplace. 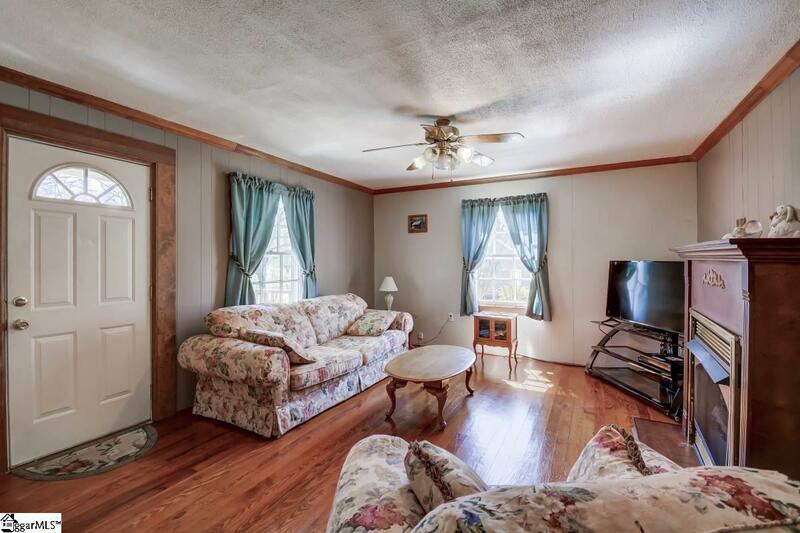 Notice the beautiful hardwood floors! The floor plan is open to the eat-in kitchen area, complete with a pass through- great for entertaining! 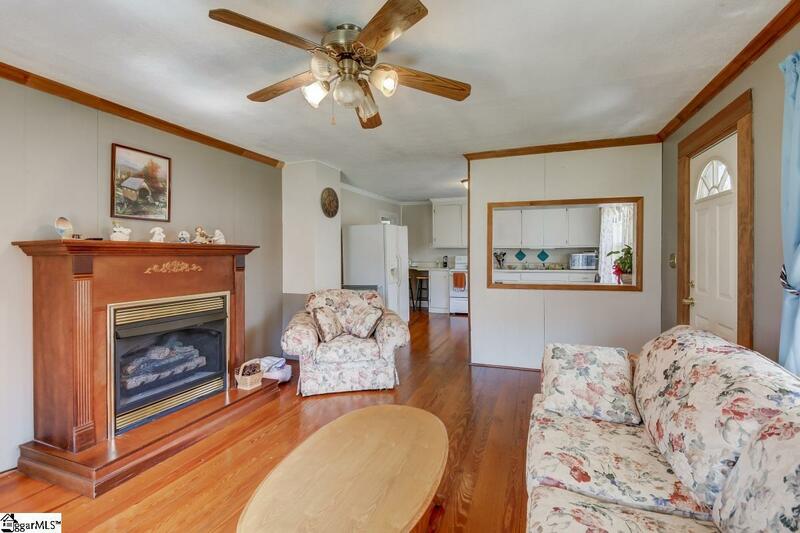 The kitchen also has the wonderful hardwood floors, white cabinets and a nice window for plenty of natural light! Down the hall is the main floor master bedroom and a full bath. There is a den/sitting area that would make a perfect office, craft area or sitting room to curl up with a book. From this room, take the stairs to the second floor. To the right is an extra-large bedroom. The 3rd bedroom is light and cheery, and the second bath is large. Back downstairs, the laundry/mud room is at the end of the hall large enough for full sized washer and dryer as well as space for storage. Outside you will see the mature trees and the 16x11 outbuilding complete with ramp to store your yard equipment and large enough for additional storage of seasonal items. Call today for your private showing this one wont last long!